Almost a month has passed since my Grid & NH 4K #1000 finish on July 21st (click here for trip report). After taking a week off I headed back up to some of the mountains close to home; revisiting some of my favorite trails in the Great Gulf Wilderness, running up and down Mount Moriah and Adams, beating the crowds up Mount Washington on a beautiful summer morning, heading to lesser traveled trails in the Wild River Wilderness with Matt, Ian & Marlie, and running in MMD 50K over the Carters and Wildcat Range. 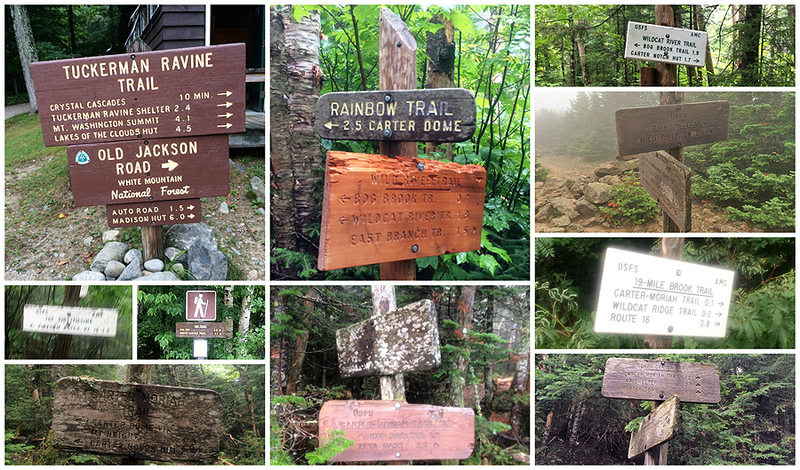 - I spent the day hiking out of and back into the Great Gulf Wilderness via the Great Gulf, Six Husbands, Edmands Cutoff, Randolph Path, Isreal Ridge, bushwhack, Gulfside and Madison Gulf trails. I did not summit any official 4,000 foot summits, but I did head off trail and summit Sam Adams. It was a beautiful day above treeline and I even ran into my friend Marta who was hiking with John and Steve. 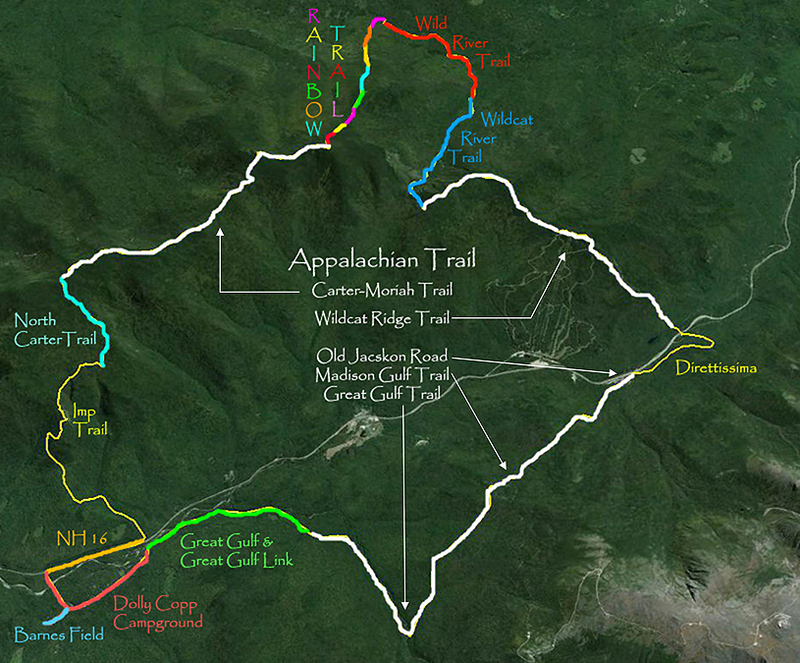 - As for the trails, there are two on this route worth mentioning. 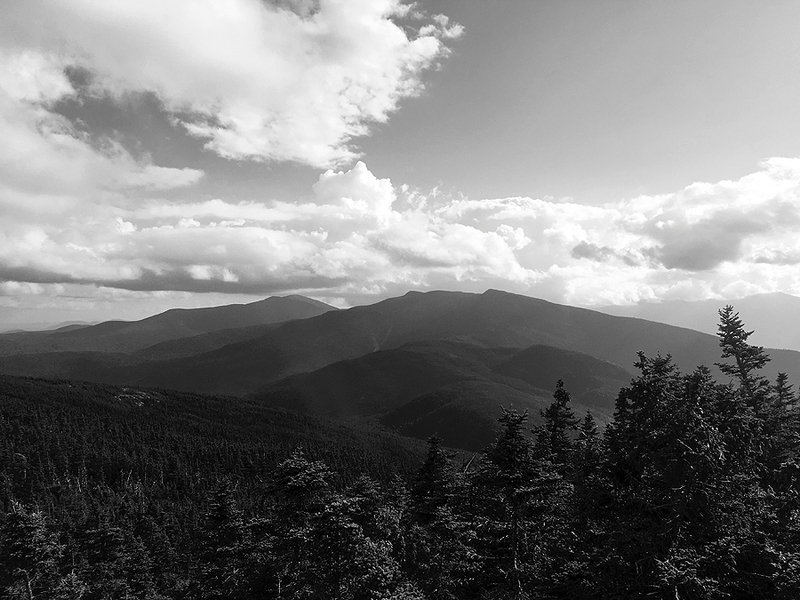 First, the Six Husbands Trail is one of the more exhilarating trails in the White Mountains, it's excessively steep as it leaves the mouth of Jefferson Ravine and heads strait up over the 'knee' of Mount Jefferson. There are some well placed ladders and some fun scrambles as it breaches treeline. The other wild trail on this route is the Madison Gulf Trail, the upper section of this trail is steep, eroded, and wet as it climbs up the enclosed headwall over a gnarly steep scramble followed by a steep chimney scramble. below the headwall are a few water crossings and rough footing. I would not recommend new hikers venturing out onto these trails but do recommend it for veteran hikers looking for some excitement! Storm Lake, just off Trail near the Gulfside / Israel Path trail junction. 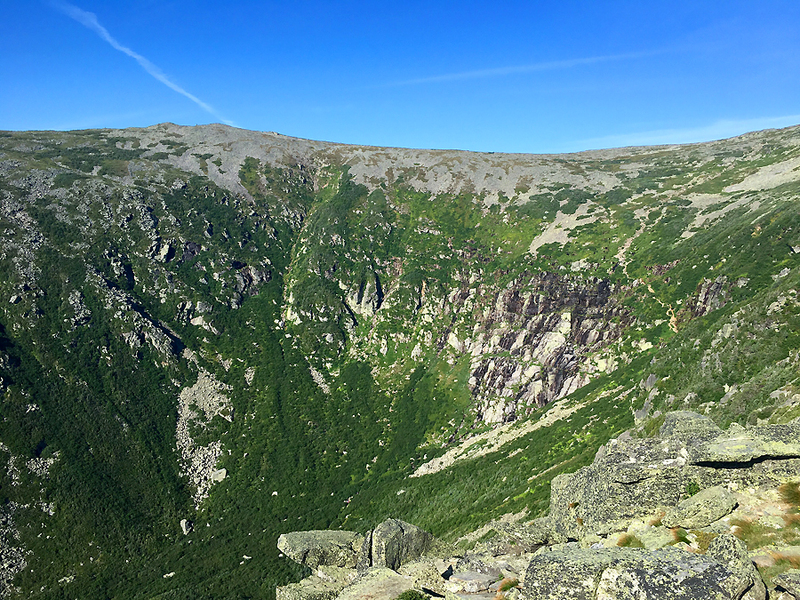 - On Friday morning I drove down the road to Pinkham Notch and started hiking at 6:30AM up Mount Washington. 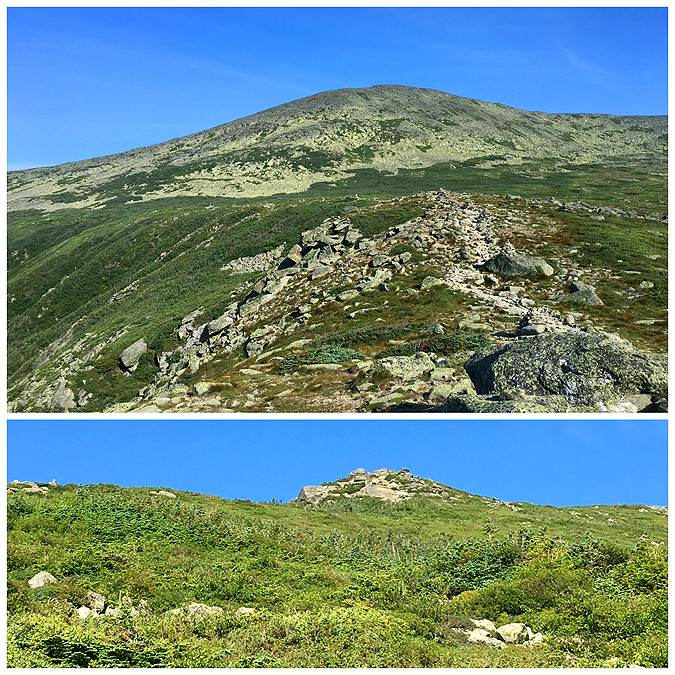 My route was up Lion Head and down Tuckerman Ravine trails. Usually I do this in the opposite direction but I had not ascended Lion Head in years, and boy did I forget that it's a steep knee hammering ascent up to the Lion's head, but the views once above treeline are well worth the slog. On the way up I saw two hikers a half mile in then absolutely no one all the way up until the summit cone where there were only a handful of people milling around. On the way down I passed two hundred hikers coming up the expressway (Tuckerman Ravine Trail). Needless to say I was very happy for the early start to avoid the crowds as I had a nice relaxing morning on top of the rock pile. - On Sunday I met up with Matt, Ian and his dog Marlie, for a hike up Mount Moriah the quiet way, from the Wild River Valley. We spotted a car at the Shelburne trailhead and drove over to the beginning of the Highwater Trail where we would have a relatively flat hike to the Moriah Brook Trail before gradually ascending to the Carter-Moriah junction just over a mile below the summit. The trails we hiked on this day through the Wild River Wilderness were laid out over old railroad grades from the Wild River Railroad which was in used 1891-1917. Along the hike deep into the valley we saw a few old remnants of rebar at a few water crossings but did not find any old artifacts, I don't know if any have been left behind but if there are they are very well hidden and minimal. - Other than the hike along the Carter-Moriah Trail we only saw a couple of other hikers and campers. The highlight of the hike was Shelburne Moriah Mountain located a few miles north of Mount Moriah. The summit is under 4,000 feet but travels through a beautiful sub-alpine field with great views, and, unlike last year the trail leading up to the summit has been trimmed back and no longer grown in! - From the summit of Shelburne we enjoyed our descent to the Shelburne / Howe col while enjoying trailside blueberries. Once at the col we hooked onto the Shelburne Trail and descended down to Route 2 just west of the border of Maine. It was a great big mile day out with Matt, Ian & Marlie as I really enjoyed hiking with them as they are walking encyclopedias when it comes to mountains and trails in the Whites! - Saturday I was lucky enough to run in my 4th MMD 50K fun run on the trails with other friendly trail running enthusiasts. 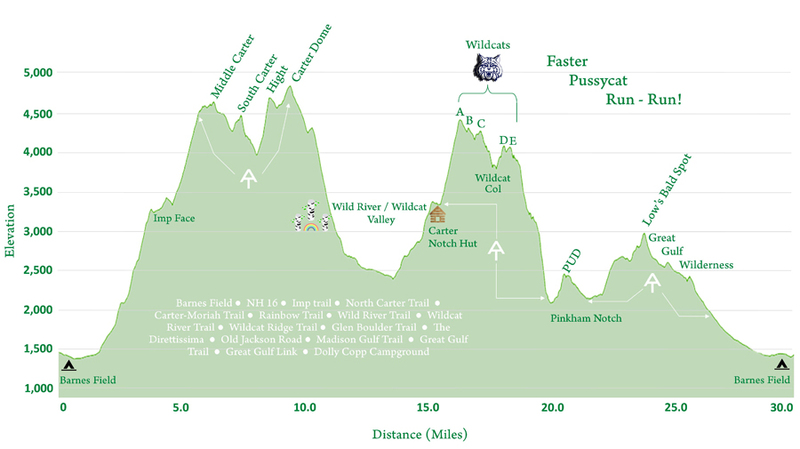 The weather was subpar, unsettled, and disgustingly humid so the course was changed from the northern Presidential Range to the other side of the notch along the Carter-Wildcat Range. - I started out really strong and even caught up to the leaders, Ryan and Ian who were going at an easy pace for them, while rapidly descending the Rainbow Trail into the Wild River Valley & Wildcat River Valley. Unfortunately while running over a flat section of the Wild River Trail I tripped and fell, initially I felt fine but within twenty minutes my knee had a ligament pain, one I was familiar with from a 2011 injury during a failed Hut to Hut traverse. It was very demoralizing as I was well on my way to having a great run and more than likely was going to be trading places with Nate and Kher (finishers 3 & 4) on the up and downs, reminiscent of last year when she, Andrew, and Timothy would catch me on the ups and I'd catch them on the downs. - The good news is I was able to tough it out for the gradual hike back to Carter Notch Hut, grind it out over the steep ascent, puds, and steep descent along the Wildcat Ridge Trail, and keep up a decent hiking pace back to Barnes Field over the very gradual and good footing trails of the Direttissima, Old Jackson Road, Madison Gulf Trail, Great Gulf Trail and Link, and Dolly Copp Campground and finished in 9th place out of 26. - The best part of of the run is the post run BBQ with all the runners and volunteers, it's a real fun and great experience to hear about what others have done running here and all over the United States. There are some exceptional and well accomplished runners willing to share their knowledge about trail running. - As for my knee I have a brace and will be able to hike with care and hopefully be back to running by late September and maybe test it out with something big in October. On the Wild River Trail, close to where I fell and tweaked my knee...a flat section of dirt! The West Branch Peabody River suspension bridge. It was slippery and I slipped badly, my under area of my bicep got wrenched on the wire part when I fell leaving a raspberry burn swath...not my day! Wow, sounds like a great week+!!! Your pictures are awesome as usual and congrats on finishing the grid a few weeks back. Are you keeping track of redlining and actively working on it? I hope your knee feels better soon and your back to running the trails quickly. Hi Karl, always good to hear from you! As far as redlining, I am not keeping track right now, I'll probably use the same method as I did with the Grid, where I'll fill out the spreadsheet in a year or two and if I'm around 70% I'll then go for it.